THE OLDEST FASHION HOUSE STILL IN OPERATION, LANVIN WAS FOUNDED IN 1889 BY 22-YEAR-OLD MILLINER JEANNE LANVIN. HER EYE FOR LUXURY, BROCADE, AND ULTRAFEMININE AESTHETIC SOON TURNED THE NAME INTO A PREMIER LUXURY HOUSE. FLASH FORWARD TO 2001, WHEN ALBER ELBAZ WAS NAMED ARTISTIC DIRECTOR. THE DESIGNER’S TECHNICAL GENIUS AND INNATE SENSE OF WHAT WOMEN WANT TO WEAR HAVE ESTABLISHED A NEW PARADIGM OF REFINEMENT IN CONTEMPORARY WOMENSWEAR. 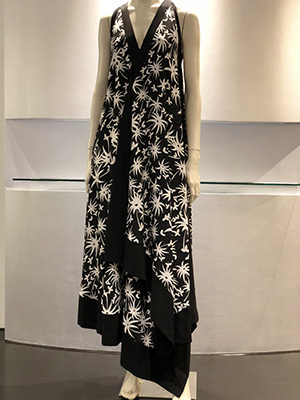 WITH ITS LONGSTANDING AND MASTERFUL USE OF RICH FABRICS AND EMBELLISHMENTS, LANVIN PRESENTS A VISION OF UNPARALLELED LUXURY AND ELEGANCE THAT HAS, FOR DECADES, LENT IT THE MYSTIQUE OF THE “MUST-HAVE” AMONG FASHION INSIDERS.